Tinman® Tinware tin metal buckets and tin pails are great gift items. 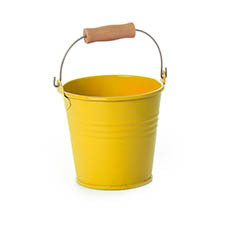 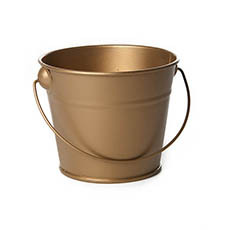 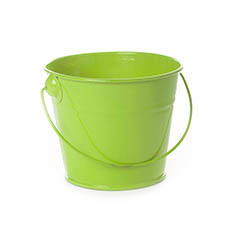 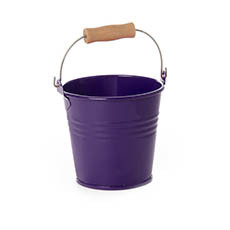 If you need a bucket, have a look at the Koch & Co range of tin buckets and pails with handles. Whether it's for decorative or practical purposes, one of our tin buckets can be incredibly useful. We offer them in a wide range of colours, so you are sure to find the one that you're looking for. 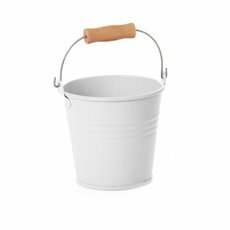 These pails are typically small in size and used mainly for bonbonniere, party favours, Halloween treats, gifts and party treats, as well as make candles in. They are also available in versatile sizes and can be used for flowers, gardening or general storage. 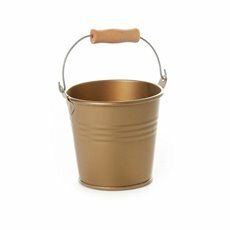 Whether you need a bucket lying around the house for cleaning or gardening, you want to use one to store things or you just want a fun decoration, our selection of tin buckets is long lasting, waterproof and durable. 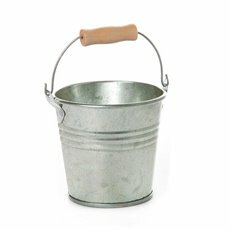 Many of our options have wooden handles, while others have wire handles. Our selection of Tinman® Tinware is available in lots of colours, including silver, black, blue, green, pink and cream. 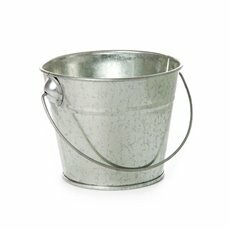 You are sure to find one that suits your decor.